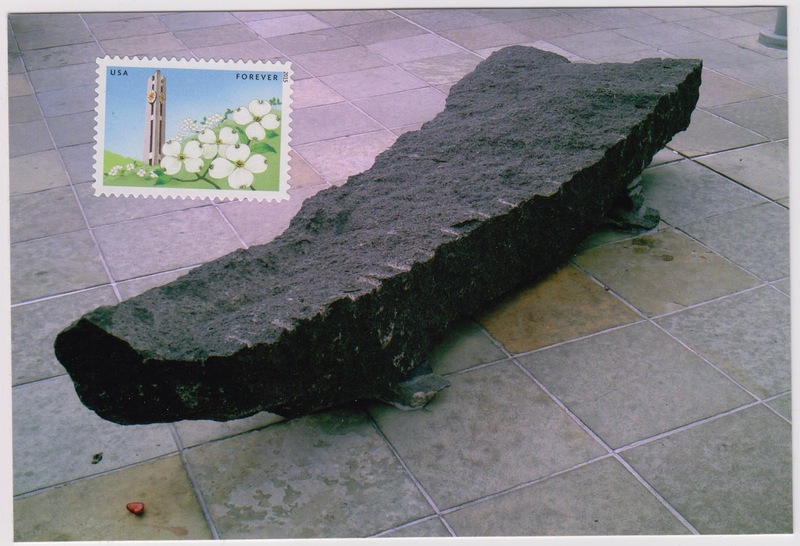 Outgoing postcard US-3263841 to Philippines shows a photo taken on September 21, 2004, of a crocodile-shaped bench and sculpture at Japantown (日本町) in San Francisco, California, the largest and oldest such enclave in the United States with six street blocks. The card features one of the Gifts of the Friendship stamps that depicts the clock tower outside the National Diet Building in Tokyo, rising behind a foreground of white dogwood flowers. The area is home to Japanese cuisine restaurants, supermarkets, hotels, banks, bookstores and other shops, with a focal point at the Japan Center, opened in 1968 as part of urban renewal efforts. 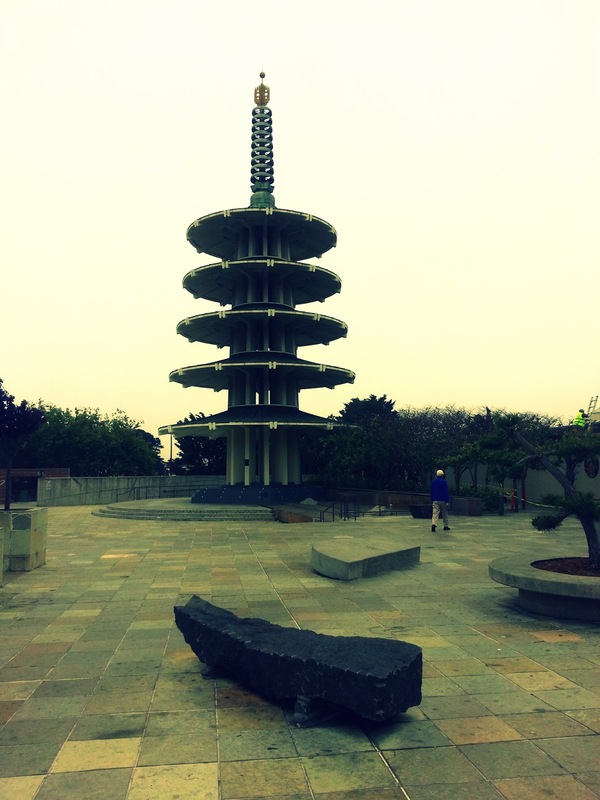 It is the site of the Northern California Cherry Blossom Festival, a two-weekend festival in April, and the Nihonmachi Street Fair in August every year. The Peace Pagoda, shown in a recent photo on May 30, 2015, is a five-tiered concrete Buddhist stupa that promotes World peace. Designed by Japanese architect Yoshiro Taniguchi, it was presented to San Francisco by the people of Osaka, Japan.